Don't be intimidated by 'fermented' foods. There is no secret to this traditional culture of culturing. Once you learn & are confident in the basics there is nothing your heart cannot capture, especially when we talk about lactic acid.....which is my gut's calling! After you master the basics there is a whole world of creative flavor possibilities to explore! *SALT - you need a certain ratio to the item you're fermenting. Use only SEA SALT (I recommend & use Redmond Real Salt). Do NOT use regular table salt that is iodized. I will save the technical answers to the 'whys' later. Let's keep this simple & to the point. *UTENSILS & JAR - I'm going to show you only the minimal basics you need to get started & to understand the fermenting concept. Later on in a separate post we can incorporate and/or show you other techniques or utensils (fermenting crocks) that you can use. -Cake pan or dish with at least a 1 inch lip. It can be metal, glass or plastic. It's simply there in case there is any spill over while your cabbage ferments. -1 two-pound green ORGANIC cabbage head - MUST BE ORGANIC or from a garden that uses organic practices. STEP 1 : Find a DARK, COOL place in your home (pantry, closet, armoire, etc) away from light and extreme temperature fluctuations. Take your thermometer and set it in the desired place overnight where you wish to set your sauerkraut jar & pan while it ferments. Check the temperature a few times to make sure it's stable & reads within 68-72 degrees Fahrenheit. This is VERY IMPORTANT to kickstart the biological processes to initiate the fermentation. STEP 2 : Sterilize the fermenting jar, lid & ring. I do this by simply placing my 1 qt Mason jar, its lid & ring on a cookie sheet and bake at 225 degrees Fahrenheit for 20 minutes. During that 20 min I prepare my cabbage. When the 20 minutes is up I simply leave it in the oven until I am ready to jar my cabbage. OR if you want, you can BOIL your jar, lid & ring. It is not a must, but I like exercise clean kitchen practices & it also eases my mind that it will not have any contributing factors if my sauerkraut doesn't turn out right. STEP 3: Peel off the few outer layers of your cabbage & discard to compost. Inspect the cabbage for black mold spots & remove. *IMPORTANT - peel one cabbage leaf off and set aside, you will use this late on to keep your cabbage under pressure as it ferments. ﻿Cut the cabbage in quarters. Remove the stem. Turn each quarter on its side, then slice & shred. Place your shredded cabbage in the bowl. STEP 4: Measure out 1 Tablespoon of Sea Salt. Sprinkle half of the sea salt on top of cabbage and with your hands mix it through the cabbage. Once the cabbage is turned, add last 1/2 of sea salt to cabbage and again work it through the shredded cabbage. Lightly cover the bowl of shredded cabbage with a kitchen towel and leave for a minimum of 20 minutes & as long as to 2 hours. The sea salt with draw the water out of the cabbage. This is called 'sweating'. It will produce a more wet cabbage and provide brine (mixture of salt & water). STEP 5: Let's start packing the cabbage! Remove your mason jar, lid & ring from oven and make sure it has cooled to room temp. Handful by handful slowly add the shredded cabbage to the mason jar and pack & push it down with the potato masher or muddler or even your fist if its small enough to fit into the jar. As you push the cabbage down it will decrease significantly in size and you will see the brine rise above the cabbage as you pack it down. If you do not see the brine covering the cabbage as you're packing then you are not pushing and packing hard enough. Do this several times by adding small amounts of cabbage followed by packing. This should take you at least a good solid 10-15 min. As the cabbage and brine creep to the top be sure to leave a headspace of 1 inch (headspace is between the lip of the jar & the top of the brine). STEP 6: Take the bar-b-cue skewer and gently slide it down in jar between the cabbage and the outside wall of the jar to release the air bubbles to the top of the jar. Do this all the way around to remove as many air bubbles as you can. STEP 7: Take the cabbage leaf you set aside earlier and fold it into the jar and place on top of the packed, shredded cabbage. Press down to cover the shredded cabbage & MAKE SURE the brine is covering the cabbage layer you just packed in. Its very important to make sure the cabbage is kept covered in its own juices (brine) to prevent it from spoiling. Remember to leave a 1 inch headspace because the cabbage will expand as it ferments. Put the lid on and tighten the ring very well. I also will label the date on my sauerkraut jar with some masking tape so I don't have to remember when I jarred the cabbage. STEP 8: Place your jar of cabbage in the shallow pan/dish and set this in your designated place for fermenting. Now it's just a wait. Do a daily check until its ready to eat. Let your jar of cabbage ferment between a total of 7-10 days before you open, test, taste, and refrigerate. 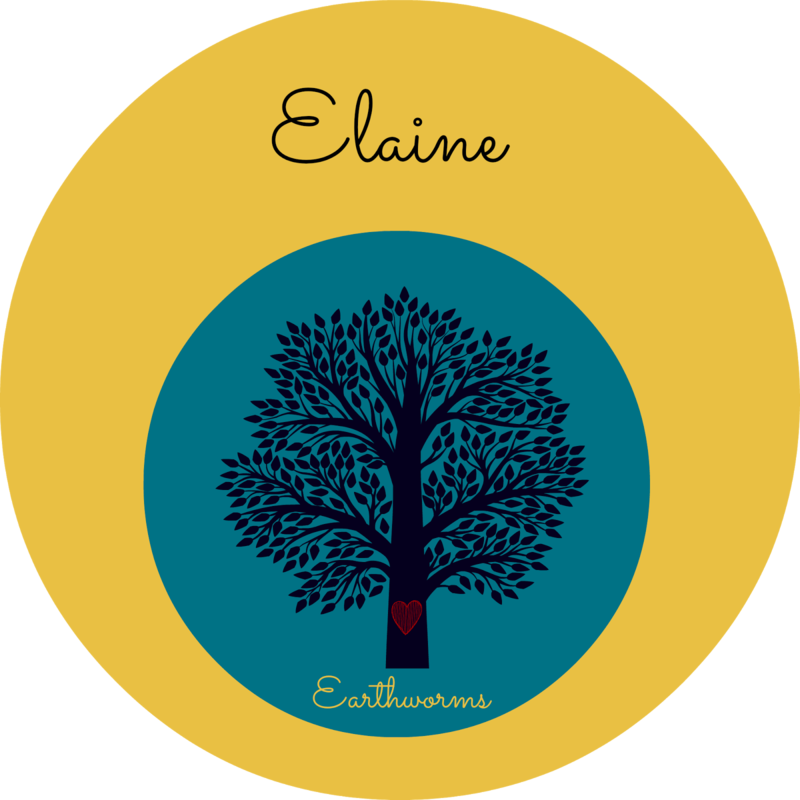 TIMING: The first 2 days are the most important to establish the environment for fermentation to take place. So be sure the spot you picked out to set your jar of cabbage is between 68-72 degrees Fahrenheit. Do not let it get above 75 or below 60. The warmer it is, the less time it takes to initiate fermentation and the cooler it is, the longer it will take. During the first 2 days gas bubbles will form from the bacteria feeding on the sugar the cabbage excretes. These gas bubbles will cause the lid to rise (convex). It is then that the jar has the potential to leak. Do NOT open the jar during the first 2 days. Eventually the liquid will recede. The pan you placed the jar in will trap the overspill and keep it from getting on the surface of the shelf. You can clean or replace the drip pan as desired. Leave the jar to ferment for a total of 7-10 days. TEMPERATURE: It is NORMAL if the brine looks a little cloudy or a little bit darker then when you first started. I recommend letting it sit for 7-10 days before you first open it to taste & refrigerate. During this 7-10 day waiting period it is OK if the temperature rises a little bit from 68-72 degrees to 75-78 degrees or vice versa being lowered all the way down to 60-64 degrees but ONLY AFTER THE FIRST TWO DAYS of a regulated temperature of 68-72 degrees. APPEARANCE: It is NORMAL to see that mold MAY HAVE formed on the top of the cabbage if it gets exposed to air. Just remove the mold, pack the cabbage back down under the brine & close the lid. BUT you can ONLY DO THIS AFTER the first 2 days of fermentation has begun. The denser you packed the cabbage the more white it may appear, and the less you packed it the cabbage may have a slight hue of yellow-tan color...that's normal. You may also see the top layer turn slightly brownish because the brine may have retreated or if the temperature was a little bit on the warm side. This can be removed as a matter of preference ONLY after the first 2 days or (it's best) if you can wait after the full 7-10 day waiting period. Boil 2 tablespoons of sea salt in 1 quart of filtered water - ABSOLUTELY NO TAP WATER - the chlorine will kill the lactic acid. That should be more than enough brine to fix the level needed. AFTER THE 7-10 DAYS of fermentation take out the jar, open it and smell it. Does it have a pleasing aroma? Does it taste slightly sour? Don't worry about botulism because it has to have a vacuum seal for that kind of bacteria to proliferate and the acidity of the sauerkraut is a high enough level to keep it from growing the bad bacteria. For those of you who have never eaten sauerkraut it may smell weird to you but it shouldn't smell off-putting. If the cabbage is SLIMY or mushy then throw it out & start over. The longer it ferments the softer the cabbage will be. I like mine crunchy with a tangy, sour bite so I ferment a little less (7days). If it is pleasant to you than refrigerate (46-50 degrees) up to six months - but I doubt it will sit that long in the refrigerator before you eat it all! 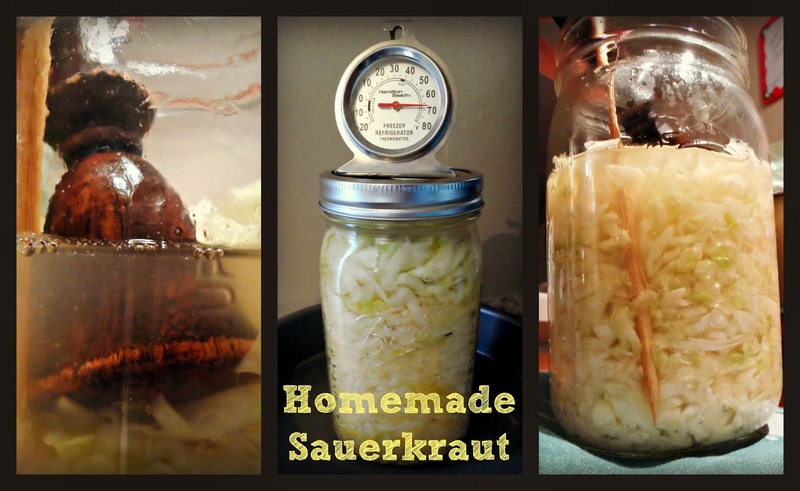 TIP: Save a little bit of juice (at least 2 tablespoons) from your sauerkraut batch to inoculate another batch - this will boost up your new batch with an established team of active cultures - which is the BEST way to start fermenting. Wow.. very informative. I have been wanting to experiment. I never tasted sauerkraut before so I am not sure if I will like it. I might try with only enough cabbage to fill a pint sized jar. But after fermentation,putting it to fridge is essential? If we eat it fast enough would it be ok? No fridge here. Sauerkraut that has fermented well will have a 'bite' of sour-tart crunch. IF it did not ferment well, the cabbage may be soften or/and very mild in taste. I do recommend placing in fridge after it is opened to extend shelf life. I hope it worked out for you!